See Why An Overpass DOESN’T Make A Good Tornado Shelter! You’ve probably seen the famous tornado movie where a film crew was chased by a tornado and they wound up taking shelter under a Kansas highway overpass. The following videos provide some great reasons you why you do NOT want to seek shelter under an overpass, if you happen to be driving in your car when a tornado approaches. So, does an overpass make a good tornado shelter? 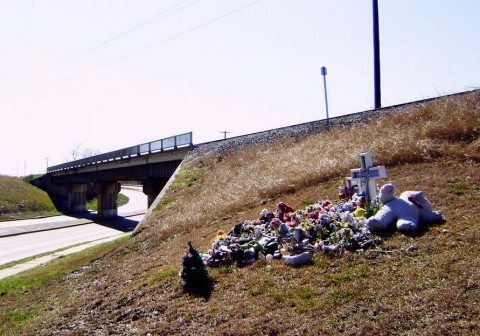 Because overpasses are death traps. The high winds from a tornado under an overpass can create a type of dangerous wind tunnel effect — and debris can be blown right through at dangerously high speeds, seriously hurting anyone under the bridge. Plus, if the overpass collapses, anyone under it is in extreme risk of injury or death. Here’s a longer version of the same video which shows injuries suffered by those who stayed in their vehicles during that tornado.